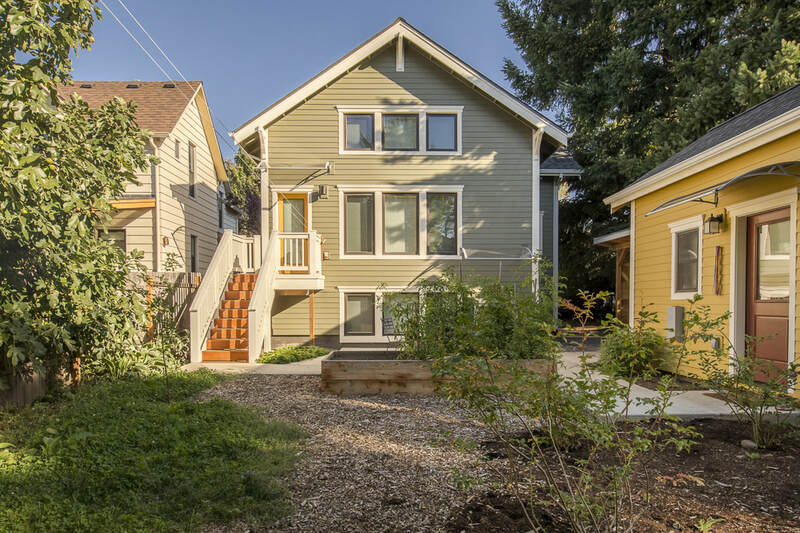 This project redeveloped an existing single-family property with a focus on communal living, space-efficiency, and repurposed materials. 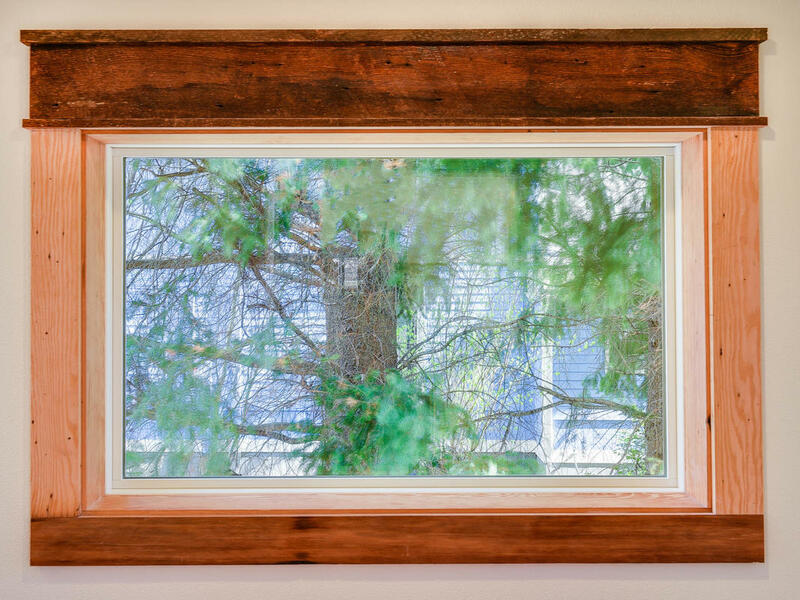 The original 1880s home on site was in disrepair and could not be saved, however much of the wood from the original structure was salvaged and used for finishes and trim in the new dwellings. 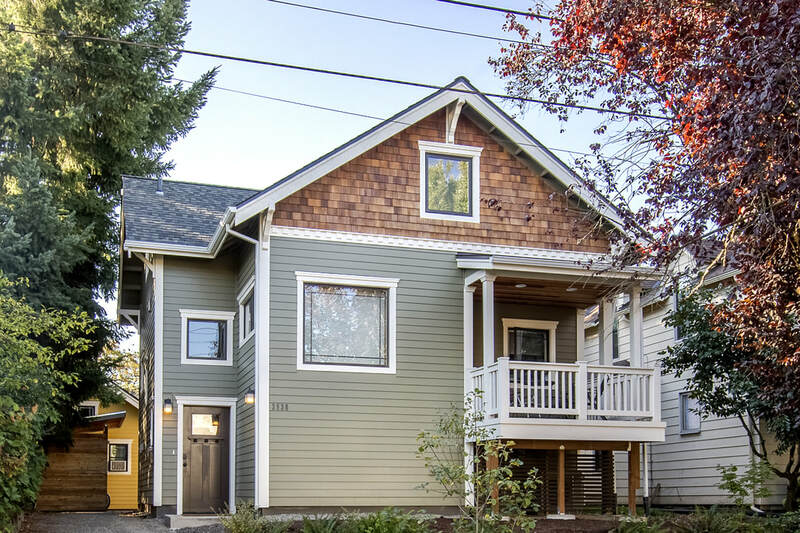 The new design pays homage to the old house by fitting into the existing fabric and scale of the neighborhood while providing increased density. 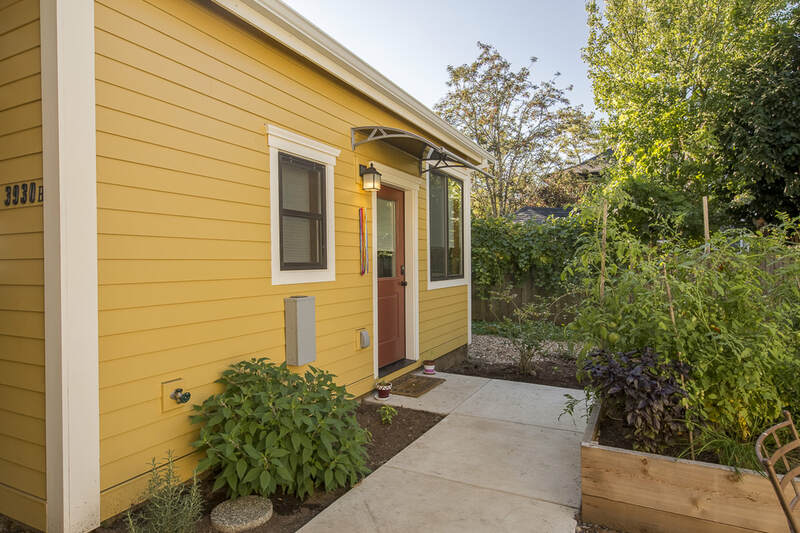 The spaces are oriented toward shared outdoor gathering spaces with gardens while also considering solar and daylight access for passive heating and lighting. 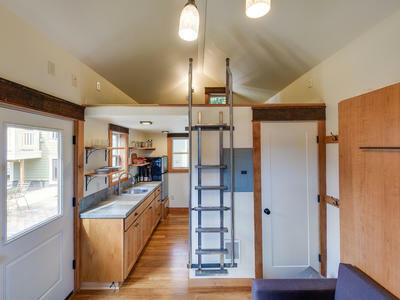 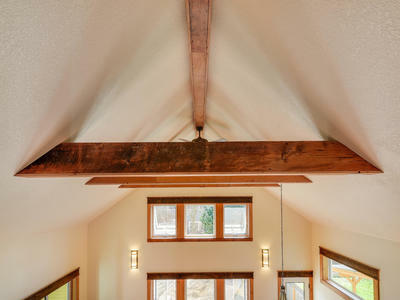 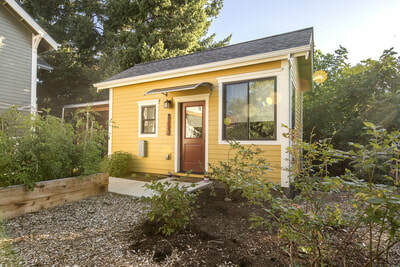 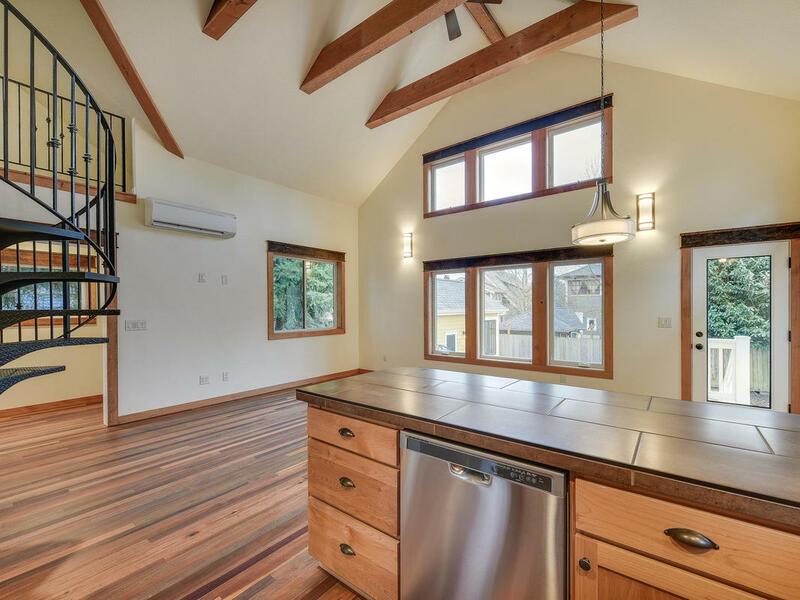 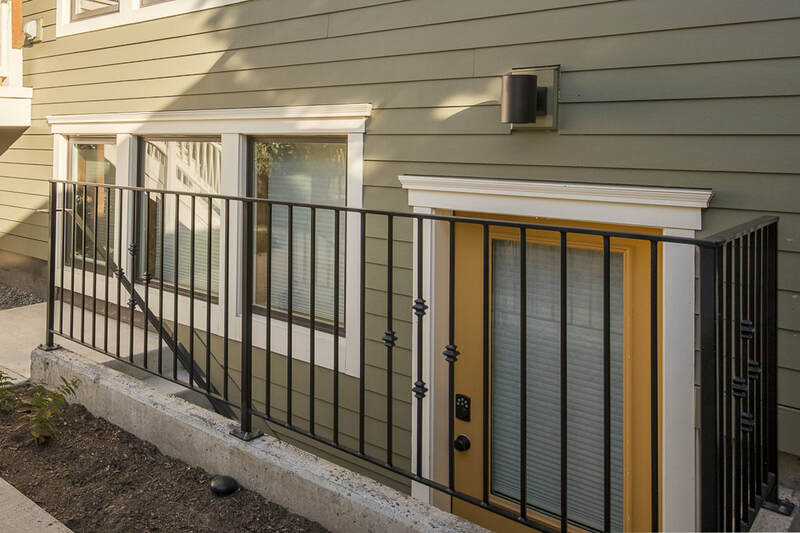 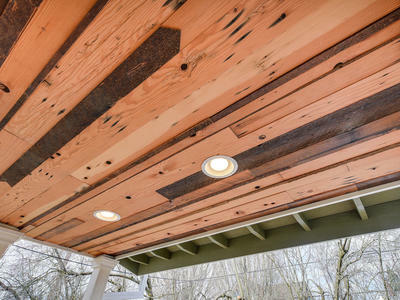 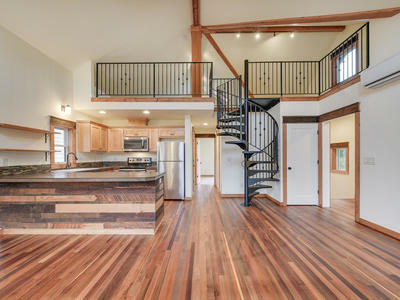 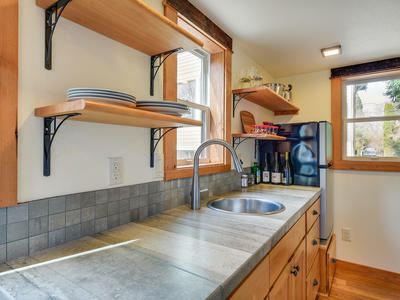 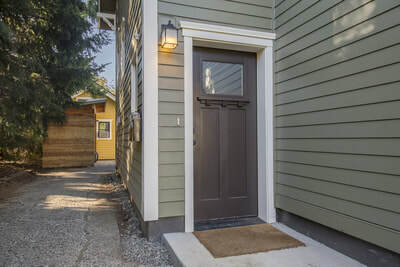 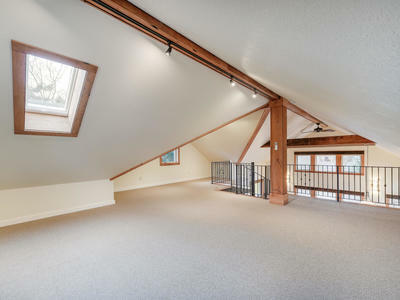 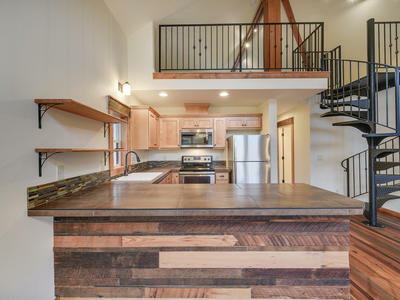 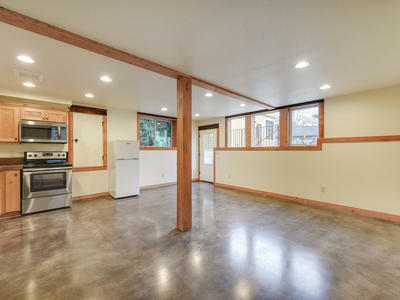 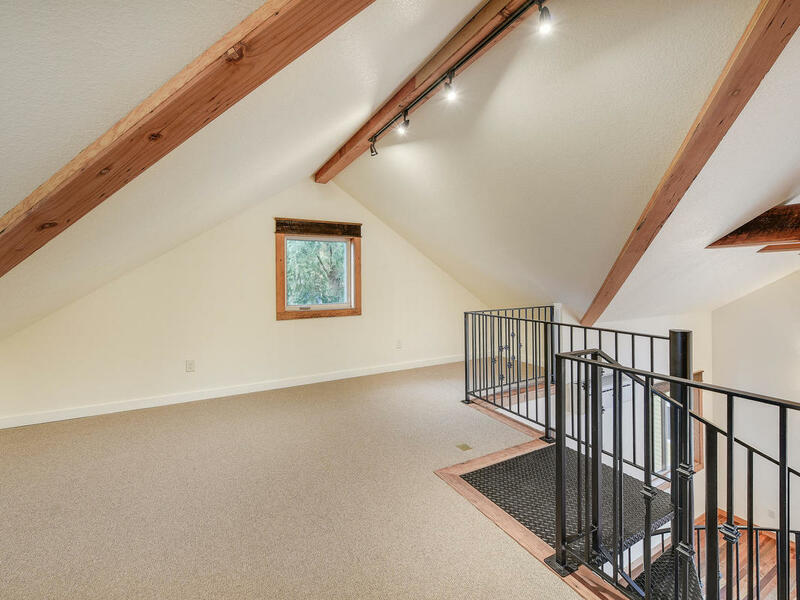 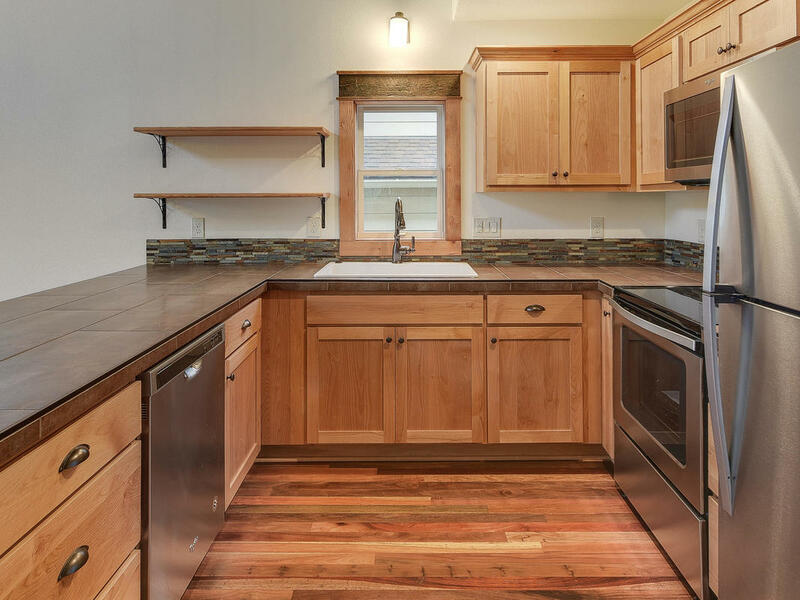 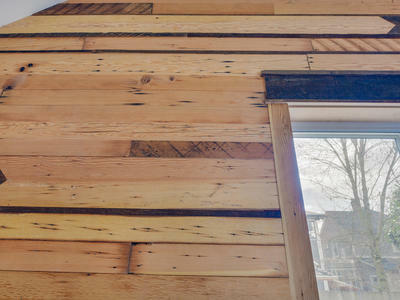 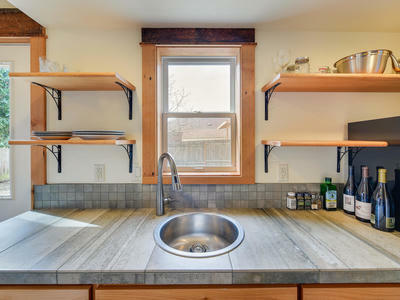 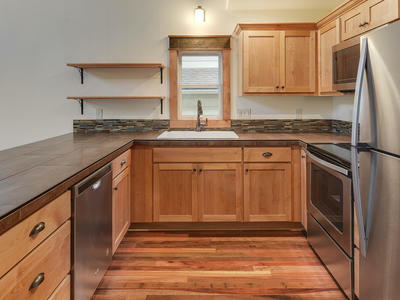 The existing garage was converted into an accessory dwelling unit, which maximizes its small footprint with an efficient and comfortable floor plan.